If your lifestyle is active and sporty, Oakley is the eyewear brand for you. Designs and materials are made for demanding conditions, lightweight and strong, and Oakley glasses will always sit securely and comfortably on your nose. Oakley is one of the world's leading manufacturers of sports glasses and other sports equipment. Like other Oakley equipment, the brand's eyeglass collections are developed in close cooperation with world-class athletes. At Oakley, technology and design go hand in hand, and no detail is left to chance. It's not a coincidence that Oakley is the eyewear brand of choice for many of the world's finest athletes, from cyclists to skiers. Did you know that Oakley also makes eyewear for US military and police forces? Choose Oakley prescription glasses without hesitation - you'll be in good company. Oakley eyeglasses: From the garage to the motocross track. The Oakley story started in founder Jim Jannard's garage. Don't all success stories start in a garage? Anyways, good old Jim was passionate about motocross and extreme sports, and in 1975 he developed a motorcycle handlebar grip called 'The Oakley Grip'. It was made from a patented material that he called 'unobtainium', a term often used in engineering and science fiction to refer to materials that perfectly suit a particular purpose, but that don't exist. Well, Jim's variety of unobtainium demonstrably exists, as the material is still used to make the earpieces on Oakley eyeglasses. Oakley soon began to create more products for motocross enthusiasts, including goggles - and the rest is history. From goggles via bicycle glasses and sunglasses to standard prescription glasses, Oakley has become one of the world's leading eyewear brands. Whether you're heading for a secret mission in outer space or a local game at the football field, your Oakley glasses will follow you everywhere. Authentic Oakley prescription glasses at very affordable prices. In the ExtraOptical online store, you'll find a wide selection of authentic Oakley eyeglasses for women and men. We aim to always offer the most affordable prescription glasses on the market — click through to our web shop and see for yourself! It's never been easier to become the happy owner of a pair of Oakley glasses. Pick the frame that takes your fancy from our online store, then enter your prescription values or simply send us your prescription by email. Our system will recommend a type of lens based on your prescription, but you can also upgrade to thinner, lighter lenses or progressive lenses. The whole process is done in minutes from the comfort of your home, and a few days later you receive your brand new Oakley glasses by mail. 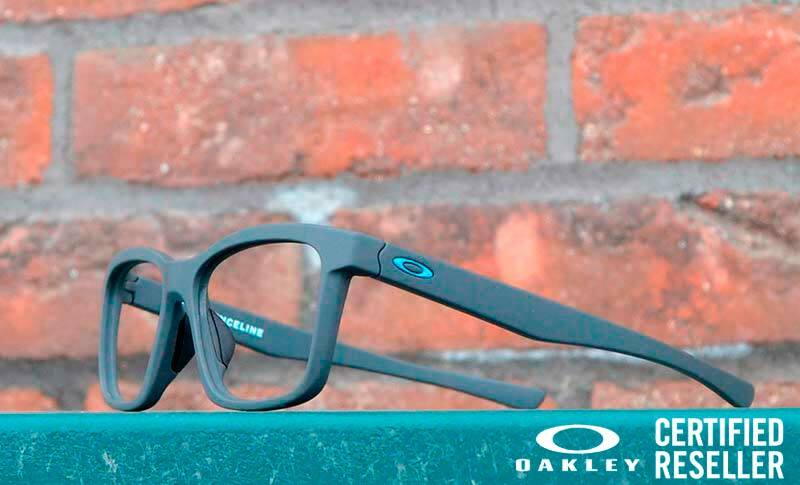 Have fun selecting the perfect pair of sporty Oakley prescription glasses!